Last year, Adobe announced what might be its most ambitious venture till date: Project Comet, an end to end prototyping, user experience and design tool that claims to be capable enough to solve all your designing needs. 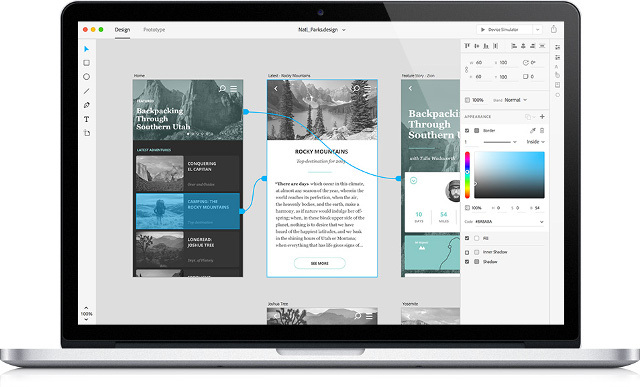 Under steady development, Project Comet is finally ready, and it is now known as Adobe Experience Design, or Adobe XD. That said, what exactly is Adobe XD all about? Furthermore, irrespective of the buzz surrounding it, will Adobe XD be able to live up to the hype? 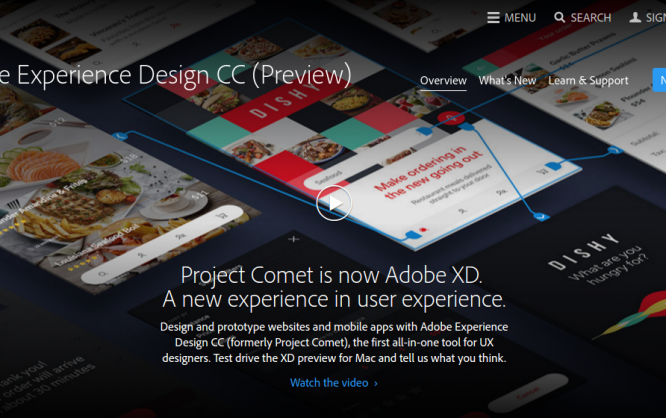 What is Adobe XD fka Project Comet? Project Comet is the latest offering from Adobe and it’s got its aims set high, promising an all-in-one tool to handle everything from wire-framing to visual design and rapid prototyping for all devices from within a single app. In a nutshell, Experience Design strives to be an all-in-one tool that lets you create wireframes, mockups, prototypes, as well as work with UX design and interaction design. Naturally, this is not a minnow tool, but more of a mammoth multipurpose offering. With XD, Adobe is trying to target the UX design and wireframing segment to the fullest. Sounds too much already? Eventually, going beyond prototypes, Adobe XD intends to help you work with animations and transitions right from the native interface itself, in addition to tighter integration with Illustrator and Photoshop. Naturally, as we can see, Adobe is trying real hard and has truly big plans for its latest offering. It is not yet another tool that will be a part of Creative Cloud Suite — instead, it is *the* tool that Adobe is counting on. Question is: will the newly-released Adobe Experience Design deliver or has Adobe taken one risk too many? The design community, so far, has given mixed reactions to Adobe XD. Some are truly impressed, especially because there is a lot that it can do — it can serve as both a design app that lets you work with wireframes, and a prototyping app that helps you build interactive prototypes and animations. On the other hand, there are many who are not too impressed by Adobe XD so far — at the very least, there are genuine fears of Adobe ruining its most ambitious project simply by offering “integration” with its other products. Chances are high that Adobe might make XD as just another tool that lets you import vector X from Illustrator and export PNG Y to Photoshop, and if that happens, there will not be much to be happy about. As of now, the design community uses a varied level of tools for the tasks that Adobe XD is trying to help you with — we have Sketch, Proto.io, UXPin and InVision, to name just a few of them. Each of these tools has a distinct modus operandi, and a clearly-defined purpose in a designer’s arsenal. Experience Design, on the other hand, is looking to be a “master” app in its league, that plans to do everything that any of the above tools can do, and a bit more as well. This can probably work in XD’s favor, as any new designer might be tempted to try out the bigger app and not bother with two smaller apps. But chances are higher that it might go against Adobe XD in general — for prototypes, wireframes, UX and everything similar, folks prefer tools that are low on cholesterol, do not consume a lot of resources and try not to do everything and beyond. You’d want your wireframing app to create wireframes for you, nothing more. Adobe XD, on the other hand, is trying to do a lot many things, and this lack of laser-focus might not bear well with many designers. Adobe XD is still barely a month old, and whether or not it will turn out to be a huge success is yet to be seen. What are your thoughts about XD? Share your views in the comments below! The author is correct that we can’t expect much from Adobe on this. Where is Sketch and the competitors are laser focused on theirs single apps, for Adobe they previously killed Fireworks which is the closest equivalent to Comet. They killed Fireworks because they wanted people to switch to Photoshop, not realizing that Fireworks fit a special need that Photoshop and Illustrator don’t provide. As all those Fireworks users left Adobe for Sketch instead of switching to Photoshop they realized they made a mistake. And since bringing back Fireworks updated would would be admitting that mistake they introduced this product in hoping of getting those lost Sketch customers back. That type of motivation for creating a product is never a good thing. The current product is very limited and buggy and while that is common for an initial version, its hard to imagine they will be able to grow quicker than Sketch who is several years ahead of the game. Also most users who left Adobe after there favorite product Fireworks was abandoned will not be quick to return to that company since they know eventually if everyone left Sketch for Comet, and Sketch goes out of business, Adobe could then kill Comet and once again try to get people to switch to Photoshop. The name XD is horrible and something tells me the product won’t end up going mainstream unless Adobe makes a major shift in how they have been developing products and product updates in the past. Hopefully I’m wrong. I totally agree. This is a humble approach to get those Sketchers back. And I am not expecting this to succeed. You are here: Home / Adobe XD: What Can You Expect?